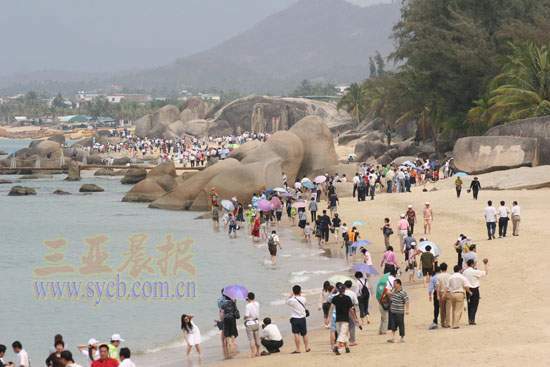 The tourism industry in Sanya is looking at markedly increase during the ongoing winter season, according to most tourist sectors. Many hoteliers said hotel occupancy rate increased to above 90% in November compared to October. According to the travel agents, it is recorded a 20%-30% increase in tour groups during the winter tourist season over the same period in 2010. Among the tourists, the ‘snow birds’ like to visit Sanya seasonally, which lead to a notable rise in housing rental market. During the winter, most house sellers start rising the rental prices to overcome the recession that hit the property market in off season. The number of domestic tourists will keep increasing during November, while foreign tourism will witness a notable rise during the winter season, especially from Russia, German and Sweden, as they prefer to spend the winter in Hainan.